I think crochet dishcloths are my favorite kind. They're pretty and durable. I've been working on a few that may possibly end up as gifts... that is, if I can get myself to part with them! You can find the free pattern for these HERE at Petals to Picots. Your washcloths are so pretty! I can see why you'd have a hard time parting with them. Such adorable colors...especially grouped together. I love them too! 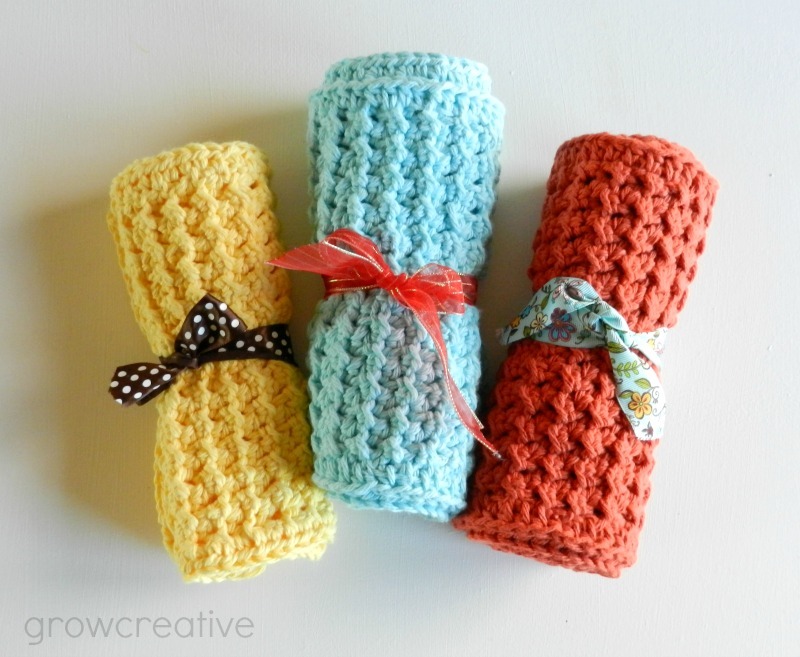 Just ordered some off of Etsy since I don't crochet! Yours are very nice!! They came out great, Elise!